US Cellular, the fourth MNO that everyone tends to forget about, has made some significant changes to its plan lineup recently including the addition of an unlimited data option and an increase in data. One plan has also been removed from the website. Today, we’ll look at US Cellular’s prepaid plans and Verizon’s prepaid plans. Both carriers are network carriers, which means that their speeds will be better than MVNOs, but prices will sometimes be higher. Of all of the phone carriers out there, US Cellular tends to be kind of forgotten as it doesn’t have the best network (although it’s definitely been improving steadily in recent years). However, that doesn’t mean that it isn’t well worth a look, and recently the carrier changed its prepaid offerings. 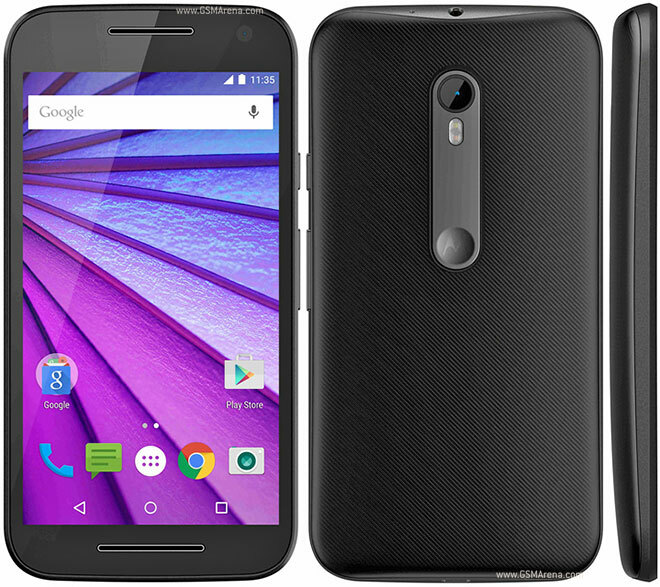 Motorola has really stepped up its game here recently first with the line of excellent Moto devices from last year and now with the 2015 versions of its devices, most of which are being sold unlocked directly through Motorola. However, if you’re not comfortable messing with an unlocked device, then US Cellular is one of the few carriers to actually carry the 2015 Moto G and it’s been discounted a bit as well. Normally when we write about prepaid companies, Tier One companies and their MVNOs tend to take the cake. However, that doesn’t mean that Tier Two carriers like US Cellular aren’t worth look as well. And with the most recent announcement that US Cellular is in the process of solidifying a LTE roaming agreement, it might be worth even more consideration. US Cellular tends to neglect its prepaid customers on occasion and doesn’t do half as many promotions for prepaid as it does postpaid. As a result, I don’t write about them all that much. However, it looks like US Cellular is offering prepaid customers a pretty good deal: $50 credit with a new activation. US Cellular‘s Ready Connect plans underwent some changes recently which will undoubtedly make Ready Connect plan users quite happy. Effective immediately, all three Ready Connect plans now include unlimited throttled data with absolutely no change in price. However, unlike previous Ready Connect Plans, these new Unlimited offerings do not include the option of purchasing more high speed data should customers run out before the monthly cycle is complete. US Cellular has announced that it has added a new phone to its lineup for both prepaid and postpaid customers. The LG Logos is a sister to the LG Spirit that was launched in March and, like many other LG devices which cost way more, boasts a curved back and 4G connectivity along with some modest specs. US Cellular has announced that it intends to expand its LTE cellular coverage from 94% to 98% of the United States by the ene dof 2015, giving customers better speeds and hopefully earning more customers. US Cellular is neither as loud nor as large as their prepaid and postpaid competitors like T-Mobile, Sprint, AT&T and Verizon. Its prices aren’t quite as low either, but that doesn’t mean that US Cellular doesn’t still have some pretty good service and deals. Earlier this month, US Cellular announced that it has expanded its 4G LTE service to parts of thirteen different states and improved nearly 1,200 sites. US Cellular has made some changes to their prepaid Simple Choice plans last week, but honestly it isn’t anything to write home about. All three of their smartphone plans have been reduced by $5 effective immediately. New customers can get the lower prices when they sign up, and existing customers can take advantage of the pricing when they renew. Once again, I have overlooked US Cellular (oops). 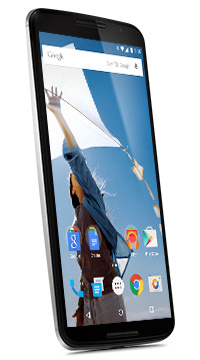 As it turns out, they are now offering the new Nexus 6 for both postpaid and prepaid. They aren’t the first ones to get the phone by a long shot, but it is still nice for consumers looking for a home for that shiny new flagship phone that is a little harder to find on the prepaid segment. For some reason we often neglect ol’ US Cellular around these parts. I’m not sure why. We can’t ignore it, though, when they make changes to their prepaid plans. They’ve done just that recently, lowering the prices of their two monthly unlimited plans. There is a new restriction in place, though, but it’s really not all that bad. It’s not often we get news from U.S. Cellular‘s prepaid arm, but today we learned of a new handset for the regional carrier. It’s the Samsung Chrono, and it’s as basic as they come these days. It’s a flip phone with an external monochrome display and a color one on the inside. The camera is VGA quality. Of course, the price is as entry-level as the device, just $19.99 without a commitment. You can get the Samsung Chrono and a prepaid plan at U.S. Cellular’s website. Late last week US Cellular announced that it will offer two prepaid Android phones, with a pair of plans to go with them. The first handset is the LG Apex, a touchscreen device with a full QWERTY keyboard, which runs $249.99. The LG Optimus U, a variant of the Optimus One series that has appeared on most major carriers, is a full-touchscreen device that will run $199.99. The two plans run $60 — 450 minutes, unlimited text, 2GB of data — and $70 — unlimited minutes and messages, 2GB of data. That’s still a bit more than other prepaid competitors offering Android devices, but it’s close enough that if you prefer U.S. Cellular, you still have a quality offering. It’s been a while since we’ve heard anything from US Cellular prepaid. They’ve been doing plenty of things on the postpaid end for sure, and they even have a decent lineup of smartphones right now. On the prepaid end they now have unlimited plans. Yesterday they introduced three of them. Instead of going with tiers based on escalating voice minutes, US Cellular got a little creative on this one. Each of the three plans is tailored to a specific type of user. That there is the LG Wine, the newest addition to the US Cellular handset lineup (hat tip to Phone News). It’s a pretty basic clamshell model, featuring a 1.3 megapixel camera with video, Bluetooth, and GPS support. Most of the material out there focuses on the contract price, which can be as low $29.95 after rebates. However, for you prepaid folks out there, it looks like you can nab it for $179.95. That might be a bit steep for a basic model, but that is the burden prepaid users bear for not signing a contract. We spend a lot of time talking about the evils of cell phone carriers, so I’m glad to give some positive space to U.S. Cellular. As you probably know, there has been some serious flooding in Iowa. To add to the relief effort, U.S. Cell is offering free phone calls from its three Cedar Rapids and two Coralville stores. This is in addition to the free phone calls available at the Red Cross Shelter at Prairie High School. Is this the bit that will lead U.S. Cellular to add data plans to its prepaid service? Once can only hope. The nation’s No. 6 wireless carrier has employed JumpTap for its search and advertising solutions. I have an issue or two with this, but if it brings mobile Web to prepaid for U.S. Cell, it’s tough to complain. But I’m always up for arguing, so let’s go. Good news for all you U.S. Cellular prepaid customers. The nation’s No. 6 wireless carrier has signed a deal with Alcatel-Lucent which will give them a larger and faster network. Any maneuver that helps improve service is huge for regional carriers like U.S. Cell. They’re up against enormous national networks with tens of millions of subscribers. The only question is whether this is enough to allow them to grow along with the larger carriers. If you follow cell phone network news (which you are, I guess, if you’re reading this site), you might be familiar with a company called Nortel. They provide communications technologies to, among other businesses, cell phone service providers. They’re usually hanging around CDMA companies, offering their solutions. U.S. Cellular is their latest contract, as the nation’s sixth-largest wireless company will use Nortel’s services to make it’s CDMA network more powerful. Last week, we learned that U.S. Cellular had been granted the status of Eligible Telecommunications Carrier in West Virginia, which enables them to use the federal Universal Service Fund to create a rural wireless infrastructure in the state. Now the Chicago-based company is doing similar work right in its own backyard. The Illinois Commerce Commission has also deemed U.S. Cellular an ETC. This will allow them to do the same thing they plan to do in West Virginia: Build a network that will reach areas pretty much ignored by larger cell companies.